SARASOTA COUNTY — Help protect and preserve water resources by becoming a water steward in Sarasota County, with a new program offered by Sarasota County and the University of Florida Institute of Food and Agricultural Sciences. 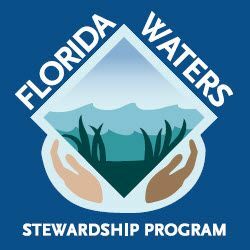 The Florida Waters Stewardship Program, launching Sept. 13, uses expert presentations, hands-on learning, field training, and communications exercises to give participants the tools needed to act as stewards of the area’s water resources. Water is a key driver of our health, environment, and economy, and protecting our water resources is critical now and for the future. Water connects us all. We are connected to our streams and bays by our faucets and laundries, to our neighborhood ponds and lakes by our yards and streets, and to our regional and statewide neighbors by our surface and groundwater supplies. September 13: Watershed Basics and Stewardship. Florida House Learning Center. September 27: Water, Then and Now. Nokomis Park Community Center. October 8: Water Supply and Demand. Peace River Manasota Regional Water Supply Authority. October 18: Stormwater in Sarasota County. Audubon Nature Center / Celery Fields. November 5: Field training. Twin Lakes Park. November 15: Communicating Water Stewardship. Oscar Scherer State Park. December 3: Graduation and Guided Kayak Tour. Historic Spanish Point. Seating is limited for this public course, with a limited number of scholarships available. Learn more and register early at http://bit.ly/FlaWaterSteward to reserve your spot. For more information about this course or available scholarships, please contact Water Agent Abbey Tyrna at atyrna@ulf.edu or 941-861-9818.